The government is considering plans to distribute food vouchers to people on the dole as part of a wider drive to empower charities to supplement the support provided by the welfare state. Iain Duncan Smith, the work and pensions secretary, has given his provisional backing to JobCentre Plus staff handing out vouchers that can be exchanged for food parcels. The parcels, which contain enough donated items to keep a family fed for six days, are administered from 65 food banks across the country run by the Trussell Trust, a Christian charity. The initiative could prove politically controversial, and officials at the Department for Work and Pensions (DWP) are keen the policy is seen as an attempt to bolster the voluntary sector, rather than the state abandoning people who fall through the welfare net. Ministers see attempts to empower charities as in keeping with the Conservative party's "big society" theme, and hope Jobcentre Plus advisers, who encounter people in poverty every day, could direct them to a range of locally-based charities. The Trussell Trust, which fed 41,000 people last year, already relies upon front-line professionals such as a teachers, social worker and doctors to give the vouchers to people they encounter who do not have enough money to feed themselves. Until two years ago, a few Jobcentre Plus offices also let their staff distribute vouchers on an ad hoc basis. That practice, negotiated locally, was stopped by the Labour government in 2008, after a ruling that Jobcentre Plus advisers "must not act as an agent for handing out any form of support, such as food vouchers" on behalf of charities. Labour ministers were thought to have been concerned that the Trussell Trust parcels would give the impression welfare payments were insufficient. There were also concerns that the scheme would unfairly benefit people living near Trussell Trust food banks, which at the time numbered just 19. However, the DWP has commissioned a review of the policy after a personal intervention by Duncan Smith, who believes jobcentre advisers could direct clients to a range of local charities. "This could make a real difference to people's lives and we don't want to limit it to one [charitable] outlet," a source close to Duncan Smith said. "Each jobcentre could point people to charities in the areas that are doing these sorts of schemes. That is what we would be looking at." The source added: "The secretary of state is very keen on this. We think there is a very valid place for schemes like these. Particularly with food banks, we should be looking at the ability of staff in jobcentres to [direct claimaints to the charity], because it makes a difference to someone, and makes a difference to their lives." Chris Mould, director of the Trussell Trust, said a growing proportion of the charity's clients were "on the edge" because they had been refused a crisis loan or had their benefits halted as officials reassessed their entitlements. Almost 40% of the charity's clients need the food handouts because their benefits have been unexpectedly delayed. Anecdotally, staff working in food banks report that payments are often delayed while the DWP re-evaluates a claimant's requirements. The reassessments can be triggered by minor changes in circumstances such as a change in address or a parent leaving a household. Figures released by the DWP revealed that 37,000 people waited 17 days or more for their jobseeker's allowance last year, while 20,000 had to wait more than 22 days. In a statement, the DWP confirmed that the policy of preventing staff from distributing vouchers was "under review". Anything the US can do, we can do better. We are sliding back to Victorian times. How many people will be giving to charity in a bad recession? Not many I would imagine. Working people will by struggling to buy food for themselves. To be fair, the mainstays of the parcels seem to be tins/jars of things like meat and fish, pasta, cereal etc. The kind of stuff that charitable households would donate I suppose. Personally I reject most tinned meat/fish as being too expensive for what you get. I can't help wondering if the real problem is that people can't cook from cheap, basic ingredients, and if resources wouldn't be better applied to correcting that. No, I think we're going back top the early 1800's. We've already had the modern equivalent of the six acts foisted on us anew by the Blair government, this time in advance of the rioting. Indeed, it days gone by, if you were poor you could get the cheap cuts of meat and live of vegetables and bread. Today the poor can't cook and live of the last bits of meat, gristle and marrow removed from a stripped animal carcus by means of crushing and vacuum extraction. The resulting goo then has salt and stabilisers applied to it. What the Tories dont seem to get is that for neo liberal policies to work you need a strong state. You need lots of police, lots of courts and lots of prisons. cope with the shear numbers of people unwilling to pay so they gave in. Yes you had access to commons land to live on which the enclosures act put a stop to. I wonder where land prices would be now, if the land hadn't been stolen from the commoners by the rich. Do you think it would have been cheaper? So far welfare has been designed with the idea that it will provide a person with basic sustenance while they find another job. And purposely kept very low to encourage a person to seek employment. Over the next decade I expect society to start to question that philosophy as there simply won't be enough jobs for everyone. It will take time to change society's thinking, like most people still think there are tons of good jobs out there, the unemployed are just lazy. There are a few posters here who know or have known, hard times. Not many though. It is not just the hardship involved, but the loss of dignity too. Of course, there are some people who do not give a t***, they are the ones who will take to thieving. But to have to take charity, which will quickly be evident to neighbours and the kids friends, is a humiliation. When there are no jobs it is a duty of the State to provide for its citizens, not humiliate them. Any more of this sort of nonsense and I will be at the barricades, no problem. Yes, and what were the government of the time also attempting? Yep, reducing the national debt. The US unemployment rate fell to 9.5% in June from 9.7% in May. However, that was due to people no longer looking for work and therefore not officially counted as unemployed. Given that consumer spending accounts for about two-thirds of US economic activity, there are concerns that until more people are in work, the economy will grow only modestly. An anecdote about this is a few years I signed on at the job centre who directed people to this (or similiar charity) for food parcels when benefits where delayed, in my case and everyone I knew we had to wait in excess of a month to have our claims processed. Having a moan about not having our claims processed and the obvious effects e.g. cant afford to buy food would be met with the reply "you wont starve you can get food from such and such people". To those talking of a return to 1800 - I would direct you to the graph thread, we are a long long way away from that sort of poverty. The other thing about cooking is that actually most people have never been able to cook. In the early 1900s (and before) most houses did not have any means for heating water - so there would have been no cooking at home whatsoever (or much washing for that matter). A fireplace would have been OK for heating but not for cooking. Interestingly the most common form of employment was working as a servant, so we were a service economy rather than an industrial one. I agree with this.Fed up of seeing members of my family who are on benefits piss it up the wall on booze, fags, lottery and junk food.You should be limited to spend benefits money on appropriate stuff.Bit of a nightmare to administer though. Not hard to administer at all. You just issue pre-paid debit cards as "food vouchers" and rule that supermarkets cannot take them at the cigerette/lottery counter. I am really wondering if service will come back in, seeing as the economy has been de-industrialised, and the gap between rich and poor has been steadily growing. I wonder if food stamps is a way of blocking benefits as proof of credit worthiness, rather than some humanitarian effort? If only. A much smaller Government taking a much smaller slice of our income and a population that understood the value of work. Jolly good! With more spare wealth and leisure time today than then donations to charities of both time and money would imo rocket. I'm all for a reduction in absurd house prices (and I've just bought so I'm not biased) but American reality isn't something I'd like to be getting used to. There are plenty of jobs, we just don't do them here. Instead, we live by borrowing the production of foreigners. The proper duty of the state is to ensure the security and wellbeing of its citizens. Neither of those can be sustainably provided on tick. If you've got a fireplace you can always hang a pot over/near it -- lots of old cottages have still got the brackets that were used for this. no means for heating water? 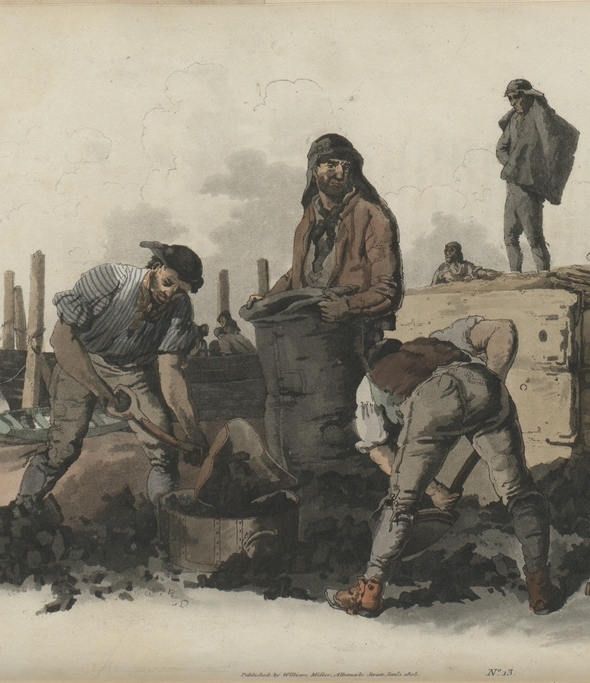 in 1800 we had lots and lots of coal. Before the coal we used charcoal that we got from cutting down trees, before that we used faggots. We also had a miraculous invention called a stove, that you could cook on and would also heat your house. If you were too poor to have a stove then you cooked over an open hearth by suspending a pot, kettle or plate over the flames. Hear, hear. It is disturbing to read all these threads about how to crush benefit claimants. They didn't cause the problems we are in. I suspect the government doesn't mind benefits being spent on cigs, since the tax is 77% of the price. So nearly 4/5 of the money spent on them, finds it's way back to the government to be handed out again, in perpetual motion.